Bob McClelland was born on March 20, 1918, in Natural Bridge, Virginia. He enlisted in the U.S. Army Air Forces on December 3, 1941, and completed basic training in February 1942. Sgt McClelland completed Teletypewriter Operator School in June 1943, and he served as a Communications Sergeant at bases in the United States until deploying to Barrackpore, India, from June 1944 to January 1946. He left active duty on January 16, 1946, and was recalled to active duty in the U.S. Air Force on March 10, 1951, having served with the 50th Bomb Squadron of the 319th Bomb Wing in the Air Force Reserve at Birmingham, Alabama, during this time. TSgt McClelland next attended Crypto Technician School at Scott AFB, Illinois, from April to June 1951, followed by service with the 4212th and the 805th Operations Squadrons at Barksdale AFB, Louisiana, from June 1951 to August 1952. He served with the 46th Communications Squadron at Barksdale from August 1952 to March 1954, and then with the 3926th Air Base Squadron at Ben Guerir AB, French Morocco, from April 1954 to June 1956. 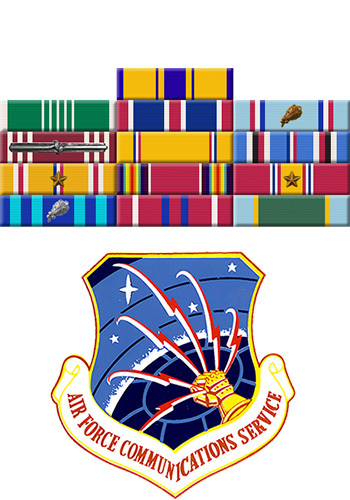 CMSgt McClelland's next assignment was as the Communications Center Supervisor with the 825th Operations Squadron at Little Rock AFB, Arkansas, from July 1956 to April 1958, and then as NCOIC of the Communications Center with Headquarters Pacific Air Forces at Hickam AFB, Hawaii, from April 1958 to July 1961. He served as NCOIC of the Weather Communications Branch, Director of Telecommunications, with Headquarters Central Communications Region of the Air Force Communications Service at Tinker AFB, Oklahoma, from July 1961 to April 1965, followed by service as Superintendent of Telecommunications with the 2005th Communications Squadron at Siegelbach Air Force Communications Station, West Germany, from April 1965 to May 1968. His final assignment was as Communications Operations Superintendent with the 33rd Communications Squadron at March AFB, California, from June 1968 until his retirement from the Air Force on November 1, 1969. Bob McClelland died on September 10, 1986, and was buried at the Elmwood Cemetery in Birmingham, Alabama. 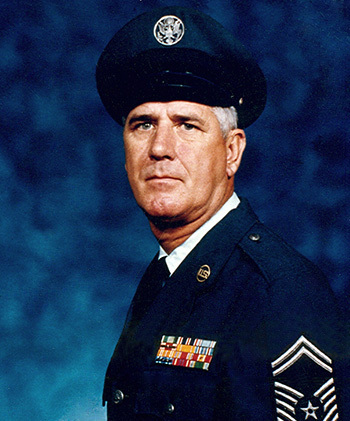 Chief Master Sergeant Robert B. McClelland Senior distinguished himself by meritorious service as Superintendent of the Operations Branch, 33d Communications Squadron, March Air Force Base, California, from 24 June 1968 to 10 July 1969. During this period, Sergeant McClelland's exemplary leadership, outstanding devotion to duty, and superior managerial abilities were instrumental factors in the effective accomplishment of the unit mission. His efforts in the quality of training of telephone operations personnel have left the organization with a legacy of excellence which will serve as the model for many years to come. The distinctive accomplishments of Sergeant McClelland culminate a distinguished career in the service of his country, and reflect credit upon himself and the United States Air Force.